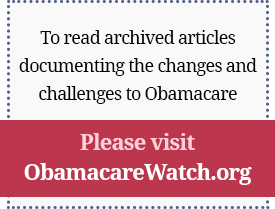 The wheels are coming off ObamaCare even sooner than most had predicted. The American people are not being fooled by the sugar-coated sales campaign, jobs are being lost, health costs are rising, and the first program to be launched is a dud. A new CNN poll shows that fifty-six percent of the American people oppose the health overhaul law, with only 40 percent supporting it – virtually unchanged from March when the Obamacare legislation passed. Rasmussen’s latest poll of likely voters shows 60 percent want Obamacare repealed. It’s in light of facts like these that mean that liberal advocates for the Obamacare law now have no choice but to admit that their messaging campaign has failed. In a conference call yesterday hosted by Families USA to share extensive polling data, Obamacare advocates were told to stop saying that the law will reduce costs and lower the deficit. It’s not true and people don’t believe it. Instead, they advised liberals to focus on anecdotes about average Americans who have been helped by the legislation’s changes. Do liberals really believe that people aren’t going to pay attention to double-digit premium increases that are coming, $575 billion coming out of Medicare to pay for massive new entitlement programs, the $500 billion in new taxes that are driving up health costs, the barrage of new regulations putting employers and the health sector in a straightjacket, and the despised individual mandate that will force Americans to purchase expensive, government-dictated health insurance? Today’s news has direct evidence of jobs being lost as a result of ObamaCare. Assurant Health, a health insurer based in Milwaukee that specializes in individual and small group policies, announced that it is laying off 130 workers as of October 1. Assurant is a terrific company that was the first to sell a Health Savings Account policy and has continued to be responsive with innovative products to serve customer needs. But new one-size-fits-all regulatory requirements are forcing insurers to slash personnel to meet new “administrative” tests, rules that present real challenges to a company that focuses on direct customer service rather than selling policies thousands at a time. Assurant is highly adaptable and will survive, but many capable employees and their families can thank ObamaCare for losing their jobs. The president’s much-touted high-risk pools so far are a flop. Kaiser Health News reports today that “an unexpectedly small number of people” have signed up for the program designed to provide insurance for people with pre-existing conditions who were uninsured for at least six months. So far, a total of about 3,600 people have applied for state plans and 1,200 have been approved, with another 2,400 in the 22 state plans operated by the federal government. North Carolina’s pool director says that “interest in the program has been lower than we expected.” Connecticut had enrolled just one person as of last week. The risk pools were flawed from the start, as we have written. Washington should have instead provided adequate resources to the states to supplement existing risk pools or create their own. ObamaCare will get even more unpopular as the damage of this fatally flawed legislation becomes clearer. And it also will become clear that the only solution will be to start over with a clean sheet of paper with sensible reforms that don’t take a wrecking ball to our health sector. Published on Townhall.com, August 23, 2010. A new CNN poll shows that 56 percent of Americans oppose the health overhaul law, with only 40 percent supporting it – virtually unchanged from March when the legislation passed. Rasmussen’s latest poll of likely voters shows 60 percent want it repealed. Liberal advocates for the law now have no choice but to admit that their messaging campaign has failed. In a conference call yesterday hosted by Families USA to share extensive polling data, advocates were told to stop saying that the law will reduce costs and lower the deficit. It’s not true and people don’t believe it. Instead, they advised liberals to focus on anecdotes about people who have been helped by the changes. Do they really believe that people won’t pay attention to double-digit premium increases that are coming, $575 billion coming out of Medicare to pay for massive new entitlement programs, the $500 billion in new taxes that are driving up health costs, the barrage of new regulations putting employers and the health sector in a straightjacket, and the despised individual mandate that will force Americans to purchase expensive, government-dictated health insurance? ObamaCare will get even more unpopular as the damage of this fatally flawed legislation becomes clearer. And it also will become clear that the only solution will be to start over with a clean sheet of paper to sensible reforms that don’t take a wrecking ball to our health sector. Previous Article: Where Did All the Vaccines Go?